The Finance Society is one of the premier student-run organizations on at the University of Connecticut and it serves the undergraduate students of the Business School and the University at large. Since its inception in 2003, the Society has been at the forefront of assisting in the professional, educational, and social development of students interested in finance. There are currently over 200 active undergraduate members and the organization continues to grow in popularity. The Finance Society strives to connect the academic and professional lives of students. 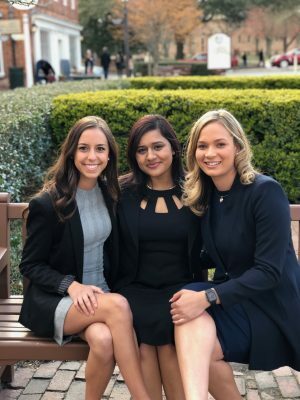 The Finance Society allows students to surround themselves with like-minded individuals during meetings and gain invaluable knowledge and experience through other sponsored events and opportunities. These opportunities include access to employer presentations; trips to NYC to visit Goldman Sachs, Bloomberg, Alumni Events; Bloomberg Market Concepts certification (BMC); Bloomberg Terminals; and access to Student Managed Fund events and managers. The Finance Society is a great way to enhance a student’s UConn Finance experience, by providing them with additional finance education and by exposing them to employers, thus enabling them to achieve higher levels of success in their academic and professional lives. 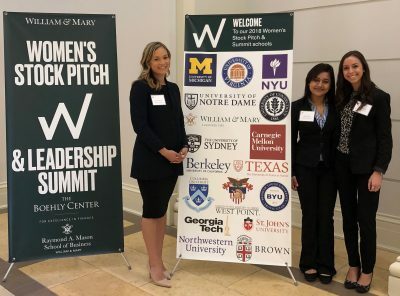 March 23-24, 2018 - A team of UConn Students participated in the William and Mary Women's Stock Pitch and Leadership Summit held at the Raymond A. Mason School of Business. Over 100 students from William & Mary and women representing top universities from across the country and the world participated in the stock pitch competition and summit. The team presented a stock pitch to a panel of judges from top investment banks, hedge funds, and investment management groups. 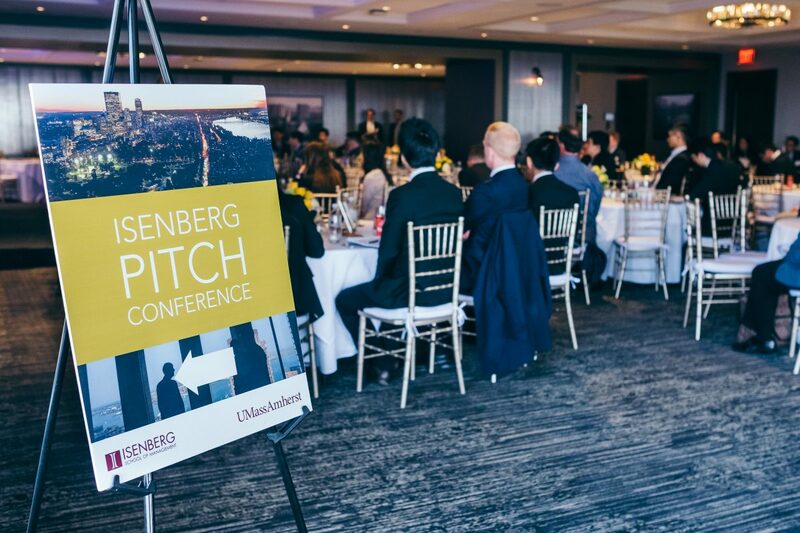 UConn was invited to participate in the inaugural Isenberg Stock Pitch Competition held at the UMass Club in downtown Boston. Schools from all over the northeast participated including Harvard, Yale, Amherst, Bentley and Babson. The event included a panel discussion of industry specialists as well as the stock pitches themselves, which were 15 minutes in length (a 10 minute pitch plus a 5 minute Q&A). The students also had the opportunity to network through the event. What is a Bloomberg terminal? 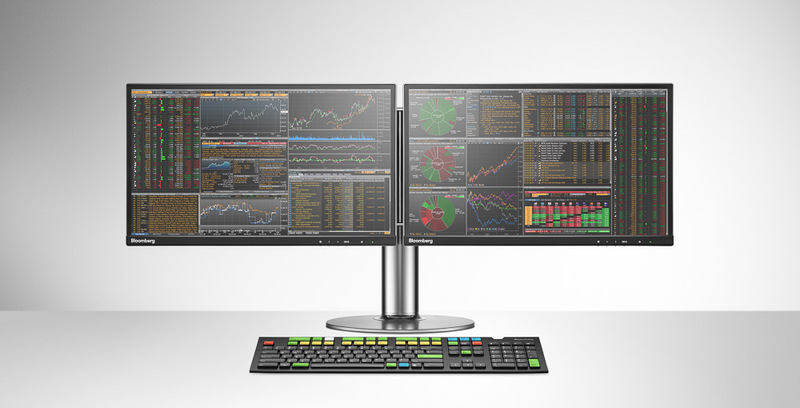 A Bloomberg terminal is an advanced computer system with integrated financial software, which allows users to access real-time financial data and news on markets, economies, and businesses around the world. The terminal can also facilitate trade placements and act as a messaging platform for other users on Bloomberg terminals. The vast content, trending news filters, research and analysis tools, and software integration are just some of the key features that Bloomberg has to offer, which contribute to its success as the leading financial computer system in the industry. Visit the Bloomberg At UConn page here.